Do you know what’s impressive? Correctly picking the top five finishers in fantasy WRC. Do you know what’s more impressive? Three different players correcting picking the top 5 in the same event. Amazingly that’s what we saw in Rally Mexico with Freddster, James Beckett, and Satanic Saint all correctly calling the top 5. Thanks to earning more power stage points than the other two, Freddster took the event win and, pairing the win with back-to-back second place results in the first two rounds, now leads by a massive 20 points, the biggest points gap in the league until you get down to the players who have missed events. 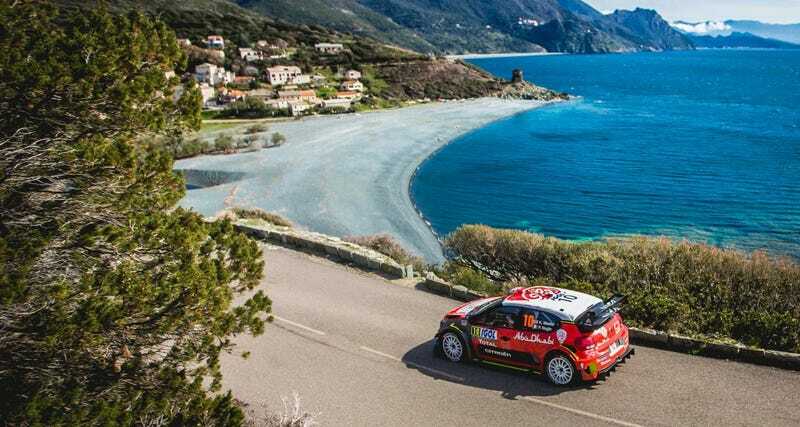 From the Mexican deserts we move to the Mediterranean island of Corsica and one of the most famous and infamous rallies in the world. The rally of 10,000 corners tests both the drivers and the co-drivers with its extremely busy stages. Unsurprisingly this has been another Ogier playground, he’s won four times here in three different cars. That doesn’t mean you should necessarily be handing him the trophy from the start though, three other entrants have also had success here, with Loeb and Latvala scoring multiple wins on the island and Neuville taking the victory over Ogier in a straight fight in 2017. Other drivers to watch include Ott Tanak, who last year finished second in his first full tarmac event in the Yaris, despite a series of car issues, Kris Meeke who won three of the first four stages in 2017 and led overall from the start until losing the engine on stage 7, and Dani Sordo who has finished in the top 5 here six times in nine starts including four podiums. And if it rains don’t forget Elfyn Evans’s incredible showing here in 2015. On a final, non-competitive but extremely cool note, North America has come to party this year in Corsica, with two cars on the entry list. In the RGT class Ian Crerar (owner of Clear Water Design) is racing his homebuilt 997 Carrera with fellow Canuck Patrick Lévesque calling the notes, and in the Junior WRC we have Americans Sean Johnson and Alex Kihurani. Awesome. Here’s the official Entry List, and the current fantasy points spreadsheet. And while you’re at it, you can also look at the driver’s data and statistics here.